[SatNews] The fourth Space Based Infrared System Highly Elliptical Orbit payload was shipped on May 13 from Northrop Grumman Electronic Systems in Azusa, California, by Lockheed Martin Space Systems Company, the SBIRS prime contractor. The HEO payload is a space-based sensor capable of detecting missile launches from the northern latitudes. The payload will be integrated with a host spacecraft and prepared for launch. 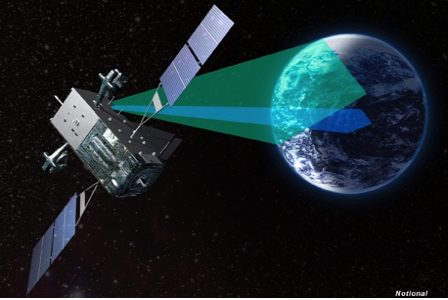 SBIRS, considered one of the nation’s highest priority space programs, is designed to provide global, persistent, infrared surveillance capabilities to meet 21st century demands in four national security mission areas: Missile Warning, Missile Defense, Technical Intelligence, and Battlespace Awareness. Prior to shipment, HEO-4 passed many significant production milestones. Most significant, on January 5, the sensor completed Thermal Vacuum Chamber testing, verifying performance in simulated space environmental extremes. This testing fully demonstrated that the sensor’s performance met or exceeded that of its predecessor, HEO-3. HEO-4 is the final sensor delivery from the SBIRS Follow-on Production contract, which produced a total of four infrared sensors. The SBIRS program is managed by the Remote Sensing Systems Directorate at the U.S. Air Force Space and Missile Systems Center. Lockheed Martin Space Systems Company, Sunnyvale, California, is the SBIRS prime contractor, and Northrup Grumman Electronic Systems, Azusa, California, is the payload integrator. 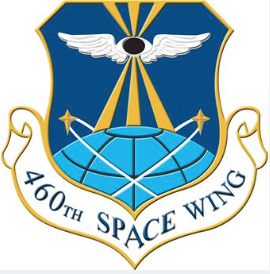 The 460th Space Wing at Buckley AFB in Aurora, Colorado, operates the SBIRS system. The SBIRS program delivers timely, reliable and accurate missile warning and infrared surveillance information to the President of the United States, the Secretary of Defense, Combatant Commanders, the intelligence community and other key decision makers. The system enhances global missile launch detection capability, supports the nation's ballistic missile defense system, expands the country's technical intelligence gathering capacity and bolsters situational awareness for warfighters on the battlefield.